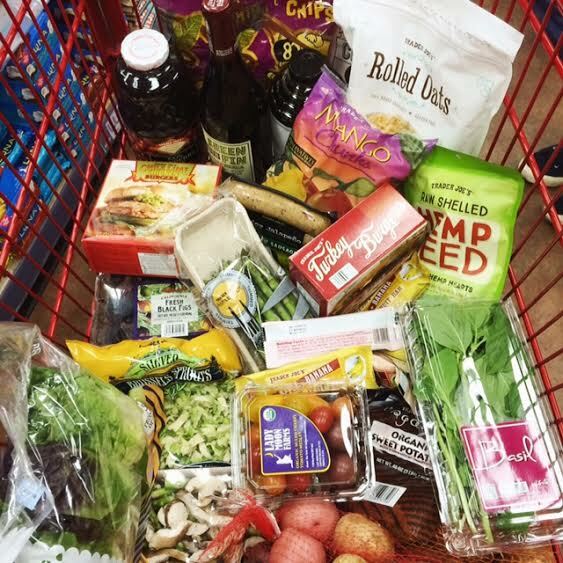 I went shopping at Trader Joe's last night (day 89), and stocked up mostly on Whole30/Paleo compliant food. Even though my Whole90 (writing this on day 90) isn't over yet, only a few more hours left, I am writing this post. There are a few things I would like to eat again - gluten free oatmeal, maybe some quinoa, and maybe have glass of red wine! While shopping for my normal items, I picked up a bunch of great things that I cannot wait to try. Hemp seeds, figs, organic red wine, gluten free rolled oats. I am a sucker for Trader Joe's. I love walking around the store for new things. I even went to a new store to shop at! So, here's my life after my Whole90. I have completed six Whole30's, and one Whole90, and they have all been different. The first one I completed in May 2013, I lost the most weight. The ones I completed after, I learned something new each time. There have been a few where I only lost a few pounds. I don't plan on posting before, and after photos. I didn't do this Whole90 to drop any weight. I did this as a complete reset, and change my WHOLE relationship with food. I felt like I needed more than 21 days to form a habit. My six Whole30 I did in January went well, but after my birthday in March, I really fell off the Paleo wagon. I ate horrible, and felt that I needed more than 30 days to form a better habit with food. Things I do know about myself 1.dairy makes me breakout 2. gluten makes me bloated, and lethargic. So, knowing those things, I know that's what I will stay away from after my Whole90. Also, I broke up with the scale. It's overrated. Numbers on the scale don't matter to me. It feels great not stepping on a scale every morning worrying about that number. As long as I feel great with myself, that's all that matters. I am not perfect, and I am not saying I won't enjoy food, but I do know what does and doesn't work for me. I really recommend doing an extended Whole30 if you ever get the chance. It wasn't easy, but it was worth it. Around day 17 I had so much energy, but around day 55 I wanted to quit. There wasn't any reason either, I just got bored. I decided that I went so far with the challenge, and couldn't stop. I am glad I didn't quit, and would love to do another Whole90. I feel amazing. I have a lot of energy. I started running again, my skin looks amazing, and I just feel really balanced. Thank you all that have supported me during this crazy challenge. I don't think I could have done it without the awesome support system that I have. Both in my daily life at home, and on social media. Stay tuned for something new happening here! !